On May 2, you can give back to Baby Café Bakersfield during Give Big Kern! On May 2, you can join together with all of the Kern County community for Give Big Kern, an online giving event! 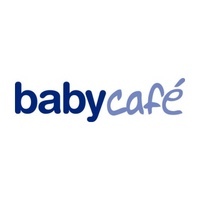 You will have the opportunity to give to the organizations that mean something to you - like Baby Café Bakersfield! Every donation, no matter the amount, means that we can continue to provide excellent breastfeeding care to local families. We hope you will share this email and encourage everyone you know to make a donation on the big day - May 2 - to support our organization. We'll also have plenty of posts on social media that you can share - see our Facebook page starting today!